A new friend I hope to see in Sanibel “מצוה גוררת מצוה. One good deed leads to another,” is one of the best-known quotations from Pirke Avot (4:2), the Talmudic tractate of wise maxims and moral teachings of our Sages. Its wisdom again touched my life recently when Rabbi Guershon Kwasniewski from Porto Alegre, Brazil contacted me. 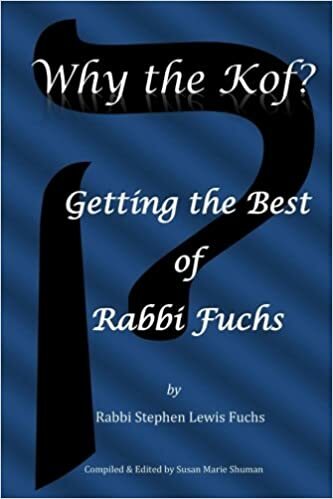 Guershon was applying for membership in the Central Conference of American Rabbis and wrote to ask if I would write a letter of recommendation on his behalf. Few requests could give me greater joy, as Guershon is an amazing rabbi. When I visited Porto Alegre, as President of the World Union for Progressive Judaism in 2012, Guershon’s wisdom, caring and skill impressed me in so many ways. He is a wonderful spiritual leader, an amazing organizer of events, a gifted teacher and a powerfully positive presence in interfaith community. The furthest thing on my mind when I finished my letter for Rabbi Kwasniewski was looking for a job. But when I went to the CCAR web site to look up the address of CCAR’s Placement Director, Rabbi Alan Henkin, (soon to retire after rendering years of invaluable service to our conference and the person to whom Guershon requested I write), I noticed our list of available positions. I was not looking for a job, but the notice about a “part-time seasonal” position at Temple Bat Yam in Sanibel Island, Florida caught my eye. Bat Yam’s rabbi, Myra Soifer, a highly respected colleague, is among the first female rabbis ordained by the Reform movement. She has left her post to join the Peace Corps and will teach English in Rwanda! Myra wrote glowingly of the community and its members. She added that the congregation meets in a building owned by a UCC church and they had a wonderful relationship with congregation and its pastor, Dr. John Danner. It is a congregation comprised almost exclusively of retirees, most of whom spend the warm weather months elsewhere. The position seemed right up my alley. It runs from the Days of Awe through the Sanibel “season” in April. So I would have several months free. The congregation’s demographics mean no religious school, youth groups, B’nai Mitzvah students—save for any interested adults—or Confirmation Class. The primary rabbinical responsibilities are teaching, speaking, leading worship, attending to pastoral needs of the congregation and representing the congregation in the community at large. So, I uploaded my CV, which I had not looked at in six years, added just a few pertinent items, and asked Rabbi Henkin to send it to Sanibel. A few days later I got an email that the search committee chair would like to Face Time with me. She did and I was most impressed by her. After the interview she said she would like to schedule another Face Time with other members of the Search Committee. After three more Face Time interviews with members of the committee, the congregation invited Vickie and me down for a weekend of interviews and presentations. One of the vital appointments I asked the committee to include was a meeting with Dr. Danner, Pastor of the UCC Church in which the congregation “lives.” Within five minutes, I knew it would be a privilege to work with him. When they offered me the position several days later, I enthusiastically accepted. Of course when a rabbi—any rabbi—is offered a position, other colleagues are disappointed. I feel for them. I have certainly been there. Still I rejoice at the opportunity Bat Yam has offered me. I pray that I will be a blessing to the community and that serving them will bring blessings to Vickie and me. I marvel too that all of this unfolded because I was doing a favor for a colleague.